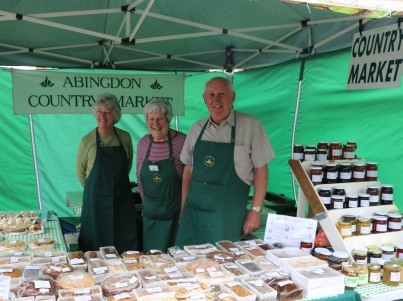 Abingdon Country Market are now a regular at the quarterly Local Excellence Market. 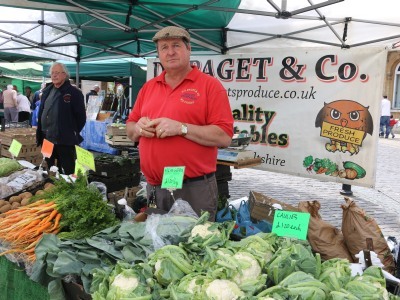 I was told by Paul, collecting rent from stall holders, that there were more stalls than ever before. The plant stall was doing particularly well. 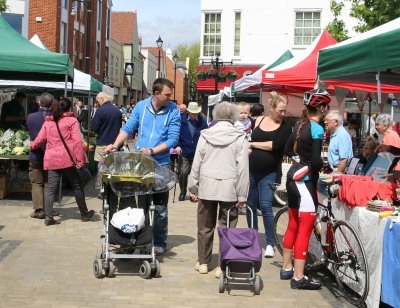 Market Place events do seem to increase the footfall, and buggy fall, in Abingdon town centre. 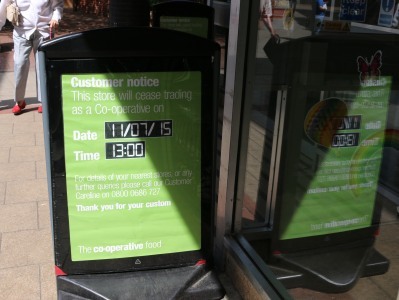 A sign has been put outside 22 Bury Street to say it will cease trading as a Co-operative on 11/07/2015 at 13:00. 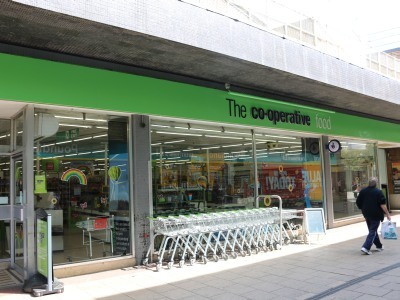 Since the Bury Street Somerfield was re-branded as a Co-operative in October 2010, there have been two Co-ops in Abingdon Town Centre. 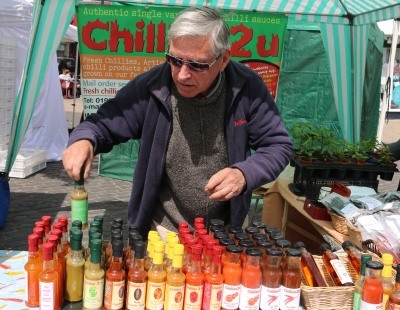 In that time there has not been a lot of investment in the Bury Street store, and now it is to close. Staff have been told about redundancies. 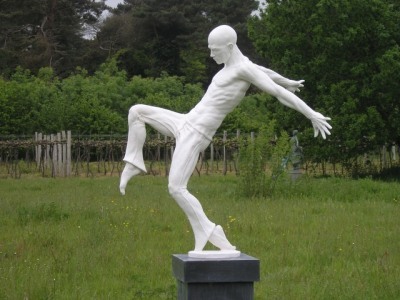 Gordon sent me a picture of a Sculpture in The Vineyard. He was not in The Vineyard Road in Abingdon. Nor was he on holiday in the South of France, but at the Bothy Vineyard just three or four miles outside Abingdon, where they cultivate the finest Oxfordshire grapes. and finely wedged in place. There are 160 outdoor sculptures, and a further 40 indoor sculptures to be admired between the fermentation tanks, barrels and wine press. More information at Sculpture in the Vineyard. 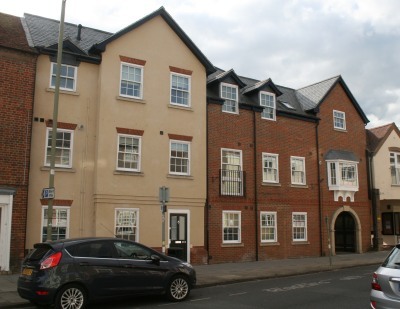 The conversion of town centre offices into flats has been going on for a while, but is becoming more and more common. The Solicitor’s Office in West St Helen Street are advertised as being ‘To Let’, or having been Let. So their conversion is nearly complete. While the conversion of Publishing House, at the bottom of the Vineyard, is just beginning. 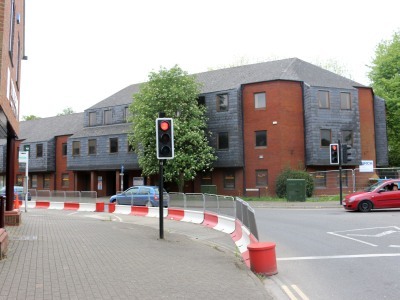 There is agreement to turn the offices to flats. Work has already started, before the detailed plans are approved by the VWHDC (Vale of White Horse District Council). Details still to be approved include adding balconies to the first and second floor windows, and creating a small amount of amenity space to the rear for bins and cycles. P.S. 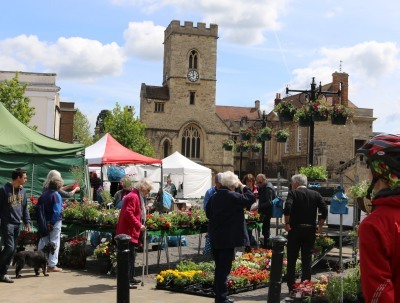 The Abingdon Blog reported in November 2014 that exploratory work was underway by Oxfordshire County Council to allow work to progress on reinforcing the River Stert in February / March 2015. The barriers are still there, and we are at the end of May. but not in the evening and so there is no way to buy an evening ticket. 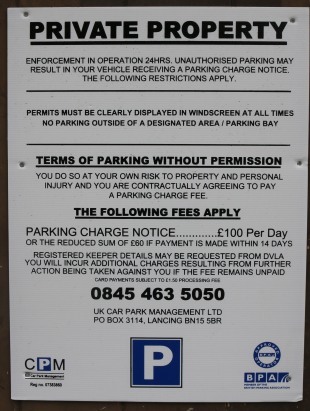 Quite a few people have received fines in the last month or so. 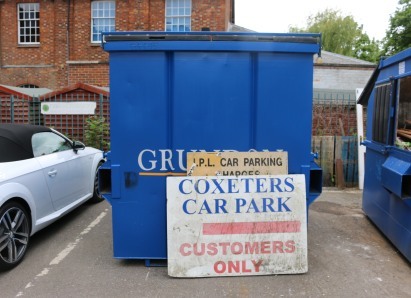 So unless you are a Customer of a Coxeter based business you would be better off to use a council car park in the evening. They are free, without a ticket, from 6pm to 8am.